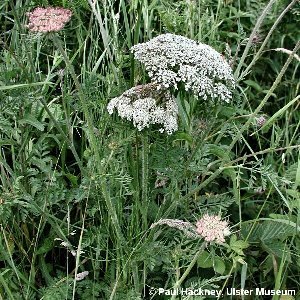 An umbelliferous plant with a tuberous taproot - the wild ancestor of our cultivated carrot. Especially common in dry pastures and on sand dunes around the coast. 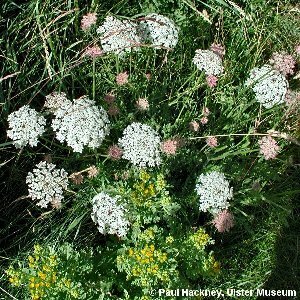 All the Northern Ireland plants belong to the subspecies carota. All names: Daucus carota L.